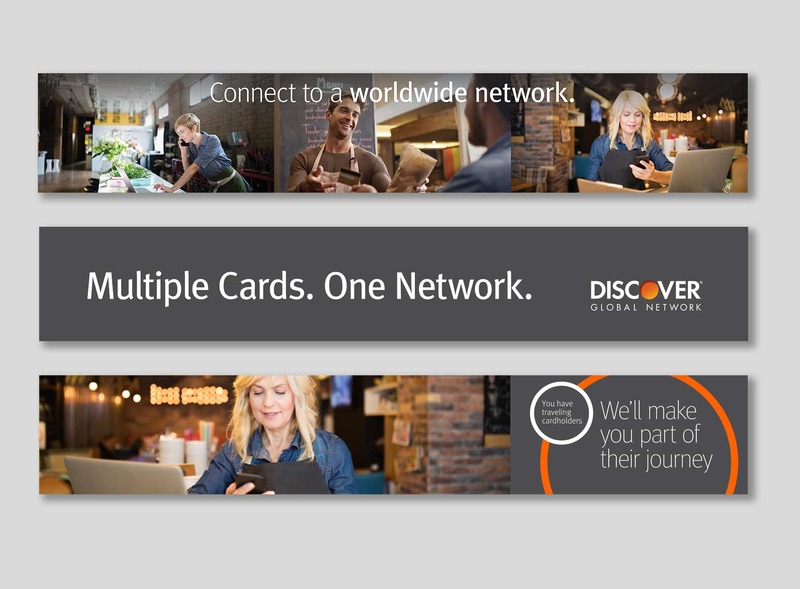 Discover Global Network contracted us to create a collection of images for their booth at the 2018 Money20/20 Europe conference. Something to reflect the global brand and catch the eye and bring weary conference goers a place to stop and rest. The booth featured expansive wall spaces, two phone charging stations along with multiple conference rooms. Each wall displays bright and bold visuals, including lifestyle images with current ads; bringing together a positive open and inviting space to the midst of the chaotic conference floor.